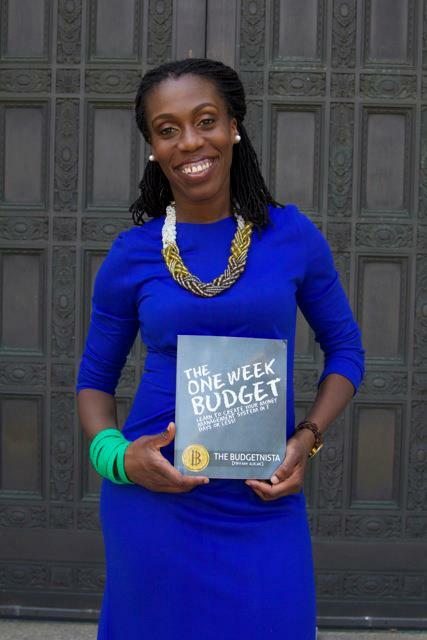 Tiffany “The Budgetnista” Aliche graciously allowed the LIVE RICHER Challenge to read Day One of her book, “The One-Week Budget”, to start Week Two of about budgeting and saving. I thoroughly enjoyed it. In the intro, she said, “There is a magic about money.” When money is not planned for, it disappears. When it’s well-documented and used wisely, it inexplicably multiplies for the for the skilled handler. It’s not anything that I’ve learned before, but I loved how she put it. Throughout the chapter, she described how her clients faltered financially. Until they wrote down their expenses in black and white, they didn’t understand the error of their ways. So we also were tasked with creating “The Money List” with all of our expenses. Then we’d subtract it from our take-home pay. I’m going to run over my December numbers to see how I fared. Oh, boy! Side note: I was talking to a gentleman caller yesterday, and he was talking about his goals for this year and the next. He traded in his gorgeous luxury car for a Toyota Camry to save himself $300 a month. I exclaimed, “Look at you being responsible, being a man!” I was so proud of him for making that decision. He said he wanted that car for a long, but after he got it, it lost it’s luster after a while. It reminded me of a few male financial experts I read. They, too, had to confront that monthly payment and their pride. Then they gave up the car to get ahead financially. It’s great to have met someone with a similar financial mindset. This weekend, my aunts, mom and I went to the local Walmart (a.k.a. Wally World) to pick up a few items. New Jersey aunt picked up matching sets of a scooter and Hello Kitty nail polish for my young twin cousins. She looked up at me to find a quizzical stare. “I found the girls Christmas presents for next year,” she said, smiling. They you go. The items were on clearance for a fraction of the original price. I could learn a thing or two from New Jersey Aunt. She knows how to work a sale. She gifted me a baaaad Guess moto jacket originally priced for $300. I don’t know how much she paid for it, but I’m grateful. The things is: I didn’t get anyone Christmas gifts this year—not even Grandma. I didn’t want to deal with the hustle and bustle of buying gifts. I didn’t want to spend the money. My oldest aunt called me a Scrooge-let. In years past, I made sure to give presents to at least 7 or 8 relatives or close friends. Youngest Aunt was not having my idea of not giving Christmas presents, especially to her. I felt a bit guilty, but then I got pinged to pay my renter’s insurance and the fee for my website. So that took $270 out of my account this month. There went the Christmas funds…if I had decided to buy any gifts. So next year, I’ll be more prepared. I think I’ll be in the giving mood. While scrolling through Pinterest today, I saw this comprehensive blog post: 7 Ways to Save for Christmas Next Year…Now. One way to start buying on Christmas clearance now like New Jersey Aunt; another way, to create a dedicated savings fund. My credit union offers that option. The tips are common sense tips, but it all comes down to implementing them. Ready, set, go! Should Freelance Payments Go Toward Savings or Debt Reduction? I got a highly anticipated email today. The direct deposit from some freelance assignments in is progress. I had to ask four times in the past week about these payments, so I’m glad it finally came through. Unfortunately, this money is going straight to debt repayment. Do I replenish the $300 I took out from my emergency fund? I want to build that to $1,000 by the end of 2015. Do I put that money onto the card I used during my summer shopping spree? Do I put that money on the card with a hefty car repair bill on it in order to pay off that promotional purchase before the six-month period without interest expires? Do I spend $80 on those music festival tickets I’ve been eyeing? Do I go the mechanic to finally check out those car vibrations? I’d actually save money in the long-term by reducing the balance on the shopping spree card. The interest rate on that is 19 percent. But my goodness, I really want to replenish my emergency fund because I feel guilty for dipping into it. Putting money back into that account would really boost my happiness in the short-term. The savings account’s interest rate is 0.25 percent. If I put that money in the emergency fund, then it could reduce the chances of me using a credit card. Hmmm…. Decisions, decisions. This money isn’t an unexpected windfall per sé, but the many personal finance writers have different ideas for how to use this nice chunk of change. Put in savings. Splurge with 5% of it. Pay off debt with it. Perhaps, in the future I should go ahead and allocate where my freelance money will go before I get it. That way, the decision’s already made. Last week, I completed the open enrollment process at work. It’s so important to really understand your work benefits. Because I had no idea that my company adds money each pay period into my HSA, I didn’t spend the five minutes necessary to fill out the single-sheet form with my HSA account info. So I missed out on $180 in my ignorant state. That’s nothing to sneeze at. That amount could have covered a couple of annual exams, at least. Oh, well. Lesson learned. I took the five minutes to fill out the form this time. This weekend, I got a little head start on my quarterly financial review and reviewed my Financial S.M.A.R.T. goals. Bad news: I still have a ton of debt, mostly from grad school loans. Good news: I’m two-thirds of the way toward my emergency/Life Happens fund goal. The act of directly depositing part of my paycheck into savings in addition to putting away small windfalls has made a significant impact. Discovery: Freedom from consumer debt is just 18 months away! Just 18 months! Totally doable! I was initially afraid of the total balance of my credit cards. On my S.M.A.R.T. goals spreadsheet, I aimlessly wrote “Pay off consumer credit card debt by end of 2015.” The calculator helped me figure out that I could put just $72 more toward those balances each month, and freedom could be mine at the end of 2015. I’ll post a calendar on my fridge to keep me on track. With all the talk of the government’s new student loan repayment plan, I decided to check out my federal loan repayment plan. I’m on the extended fixed plan. So I have up to 25 years to pay off my loan and my bill won’t change. The plan is to pay more than what’s required each month to chip away at the very, very large balance. It won’t take 25 years to pay it off. I refuse. I basically use the exact same system to pay and keep track of bills as MoneyNing’s Travis Pizel. Certain bills are allocated to each payday. So I pay my bills on two days of the month. Those two mornings are exhilarating. Really. A few months ago, I realized that I needed to pay my federal loan bill with the previous paycheck instead of the one I immediately get a few days before payment is due. I’d drown if I hadn’t made that small change. This plan gives me peace of mind until the next set of bills are up. I’m currently on track to make an extra payment this year, which I hope helps out with the interest accrued and eventually make a dent in the very, very large balance. Open Enrollment Alphabet Soup: What’s an HSA Again? Every year, I have to re-learn the health plan-related acronyms being tossed around at the company-wide open enrollment meeting. Since we’re on a High Deductible Health Plan (HDHP), I can use a Health Savings Account (HSA) to get a grip on medical bills. Having an HSA will help pay for the out-of-pocket expenses that the insurance plan doesn’t cover until the higher deductible is met…so I’ve read. My company will give me a lumpsum of money at the beginning of the period and an additional $10 each pay period. Free money! Yay! The HSA account belongs to me, even if I change jobs. 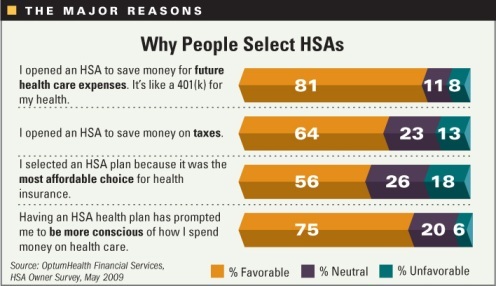 Although I opened an HSA at a credit union when I joined the company, I haven’t used it to my advantage. Shame on me. At my old job, I had a Flexible Spending Account (FSA) or “use it or use it” account. If I remember correctly, I allotted a certain amount of money at the beginning of the year. I was able to use the full amount right then. The allotment was broken down into payments that was deducted from my check each pay period. Basically, my company gave me a lumpsum of money, and I paid them back in installments throughout the calendar year. I was able to use my FSA to pay off my braces in full before I left that job even though I’d be sporting a grill full of steel well after. Both the HSA and FSA allow you to set aside pre-taxed dollars each year to pay for eligible healthcare expenses during the plan year. You save by not paying taxes on this money. The FSA let’s you spend money during the plan year, while the HSA let’s you roll over funds year after year and earn interest for future expenses. 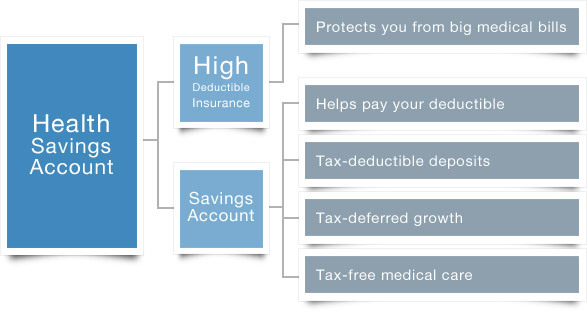 Here are the main differences between the two accounts, according to Blue Cross Blue Shield. 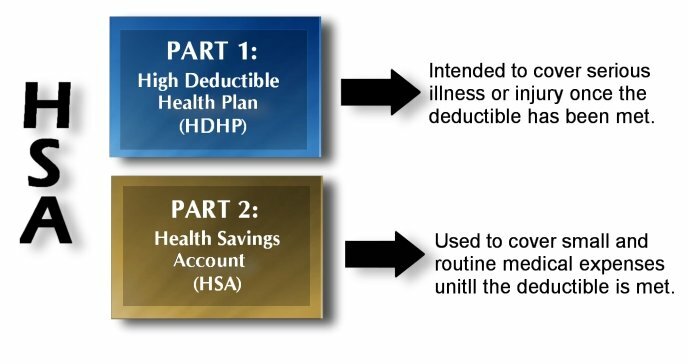 You can only have an HSA if you enroll in a high-deductible insurance plan. You own the account. You can set it up with any bank of your choice. Anyone, including your employer and relatives, can put money into the account. Money taken out of your paycheck by your employer for the account isn’t taxed. Money put into the account that’s already been taxed (for example, money that was a gift), is tax deductible. You can invest the money. The employer owns the account, but you get to decide what qualified medical expenses to pay from your FSA. The employer sets up the account. Only you and your employer can put money into the account. You can only deposit money into your FSA through payroll deduction. That money isn’t taxed. You can’t invest the money. Here’s a helpful comparison chart of the FSA, HSA and HRA from Bank of America. Here’s a hypothetical example of savings: I think I finally have a grip on this. Let’s hope I won’t be staring blankly at the meeting next year. I love this post from Lifehacker’s Two Cents personal finance blog. Lots of goodies in this one. As a tip for avoiding money temptations, I learned about the HALT method: Are you shopping because you’re hungry, angry, lonely or tired? Great mnemonic device! Wow. I haven’t posted anything in six weeks. That’s probably because I was feeling a bit pessimistic. Mmmm… Does that mean I only blog when I’m happy? So I’m changing my attitude, and I’m going to start reading more about personal finance, and jotting down notes and thoughts on this blog. Alexa Mason wrote: “Reading frugality-related material is a great way to motivate yourself and find fresh ideas.” It’s one of the ways to constantly improve yourself. Money Avoidance | Other common scripts in this category include “I don’t deserve this inheritance” or “Rich people are unethical or evil” or “It’s not okay to have money when others go without.” These scripts are based upon the idea that money is a source of anxiety, fear, or disgust — and that living with less money is a kind of virtue. Money Worship, on the other hand, is based on the idea thatmoney can lead to happiness and fulfillment. Common scripts in this category include “I’ll be happy if I have more/spend more money” and “You can never be too rich.” If you follow Money Worship scripts, it can lead to things like workaholism, compulsive spending, or hoarding. Money Status scripts conflate net worth with self-worth. If you have Money Status scripts, you might think “Success is measured by how much money I make” or “My possessions reflect my importance and worth.” Individuals with Money Status scripts will often be vulnerable to debt (because they feel the need to keep up appearances) and get-rich-quick schemes (since they want a shortcut to that feeling of self-worth). Finally, Money Vigilance scripts tend to be fairly helpful, rather than harmful. Individuals with these scripts will think“Saving for the future is important” and “I have to research all purchases to make certain I get the best deal.” While these scripts can generally help your finances, if taken too far, they can have a negative effect on your psyche. Interesting. Before this year, I was didn’t have a script that fit into these categories. I wasn’t actively thinking about money. Now, I’m proud to say that I can check off the Money Vigilance box. I have to be super vigilant this week. After paying bills Friday, I put $150 back into my savings. I had borrowed against myself in a rough patch. The “disposable income” (because no income is really disposable) has been cut down a bit, but I was so happy to see that savings account balance move up. For the next two weeks, I’m going to challenge myself to live off the $200 cash I withdrew from the bank. The cash-only system will keep me in check because I can see a finite amount of money leaving my hands – something I can’t do with a debit card. A large chunk of that money – $70 – is already going to my hairstylist Tuesday. I’m optimistic that I can handle this. It’s only two weeks. Cheers to the frugal life.